As consumers demand yet more functionality from their smartphones it seems such omniconnectivity is desired at all times, including while driving. That’s where systems such as Apple CarPlay come in. Only a handful of years ago making a legal phone call while driving required a Bluetooth connection to either an aftermarket earpiece or, on newer models, an integral link to the car’s infotainment system. The telephone aspect of your smartphone was operated via the car’s touchscreen or a dashboard keypad. Touchscreens are becoming more prevalent – and larger – across all segments of the car industry, with many manufacturers spending vast sums of money developing slick software interfaces and apps to access online services. Conversely, due to the increasing complexity of cars’ on-board systems, smartphone software companies believe consumers will feel more confident with the familiarity of something that looks more like their handheld device on the infotainment screen. Car manufacturers’ willingness to offer such connections alongside their own systems suggests they begrudgingly agree too. Development is taking place to roll out not just Apple CarPlay but rival systems such as Android Auto and MirrorLink across the industry. Using such systems means you are within the necessarily strict legal framework for in-car mobile phone use, keeping you, your passengers and other road users safer. What does Apple CarPlay allow you to do? 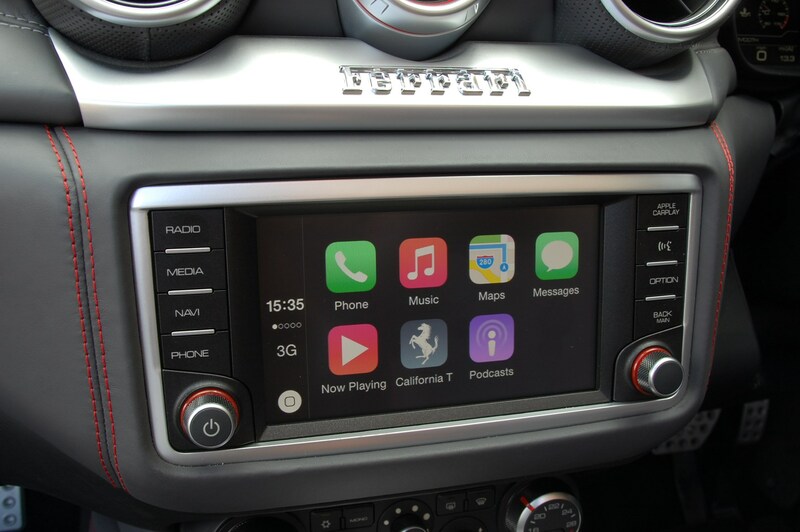 What Apple CarPlay’s not is a complete replication of your iPhone on your car’s screen – instead you’re offered key functions such as Phone, Messages, Maps, Music plus a small selection of third party apps like the audio streaming service Spotify, with others to follow. 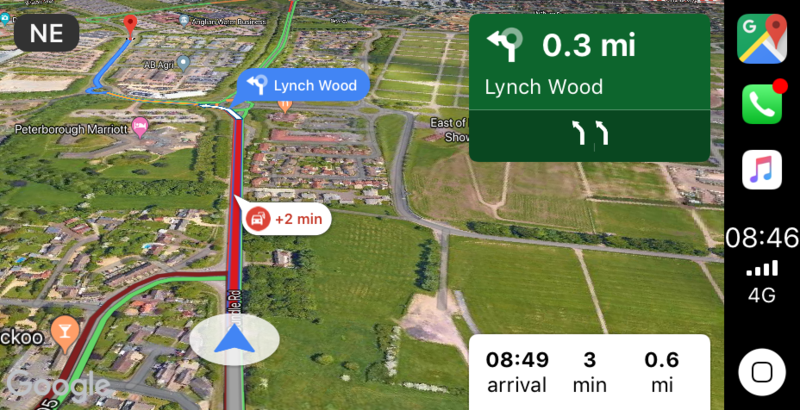 Since the release of iOS 12, CarPlay offers support for more third-party applications - notably navigation, which previously was only possible through Apple's own Maps app. Its ingenuity comes from its sheer ease of use. Plug your Lightning cable into the car’s USB socket, connect your phone – an iPhone 5 running iOS 7.1 is the minimum standard – and within seconds the infotainment screen takes on the appearance of an Apple device. There’s no need to connect Bluetooth either – calls can be made through the CarPlay connection. You can press the virtual buttons on-screen as you would your iPhone or use the car’s own physical buttons and controls. Tapping your car’s voice activation button will allow you to talk to Siri, for instance. 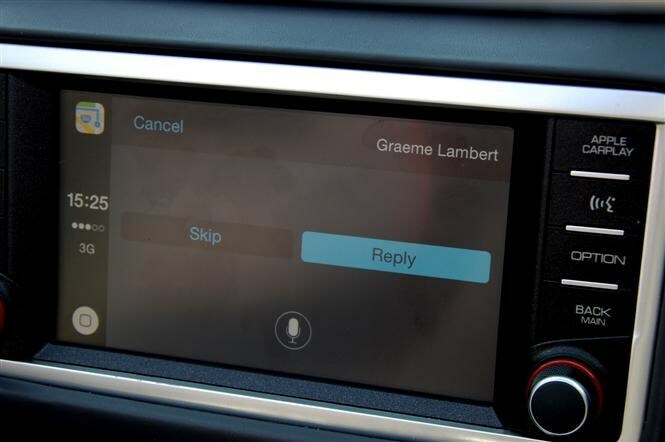 When we have reviewed cars with CarPlay installed, the Phone, Maps (sat-nav) and Music functions work particularly well, but the voice-controlled Messages function requires a clarity of diction and oral dexterity not many of us possess. Thankfully you get the opportunity to have your message read back to you before sending, so you can re-compose, multiple times, if necessary. Incoming texts are also read out loud – something to be aware of if you receive messages of a private nature with others in the car – although Siri hasn’t yet learned that kisses at the end of a message aren’t pronounced “ex ex ex”. Does my car have Apple CarPlay? 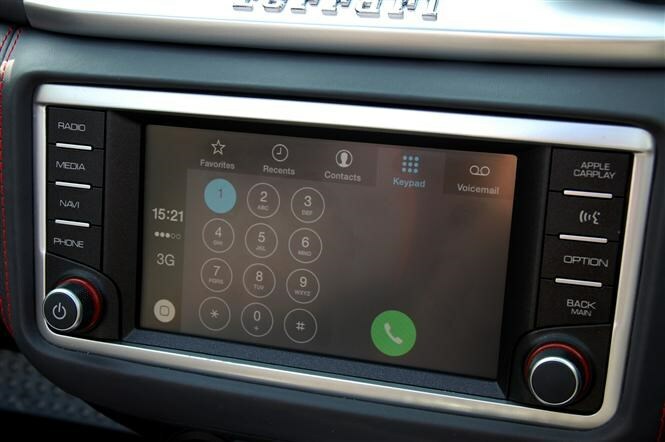 Ferrari’s FF was the first car to be available with Apple CarPlay from September 2014, so only cars built after this date are likely to have it installed. 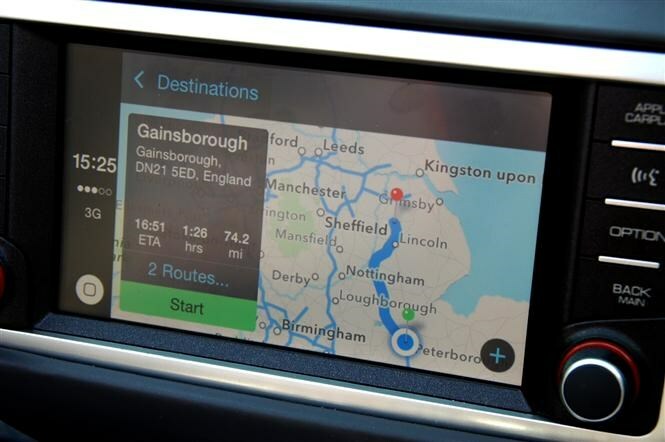 Chances are that if you connect your iPhone to your car’s USB socket and there’s no immediate mention of CarPlay on either the infotainment screen or your device, then it’s not installed, but it may be worth checking with the dealer you bought it from. Currently most manufacturers offer CarPlay across a selected range of their cars - though some still charge a significant amount, such as Mazda. If you’re in the market for a brand new model then it’s best to check whether it’s available on the car you’re thinking about. If it’s not standard it typically costs upwards of £100 as an optional extra. 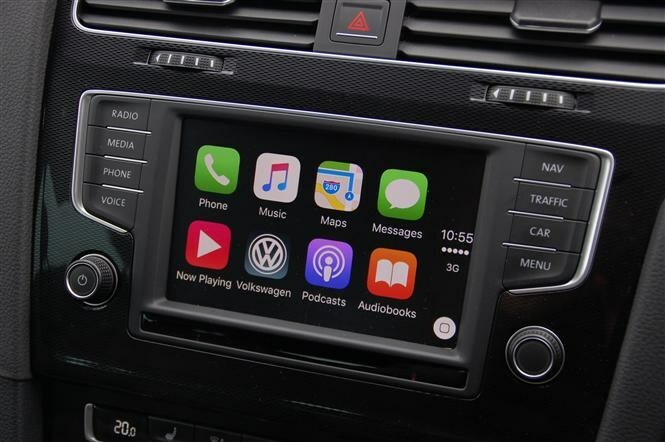 Should buying a new car not be an option then your existing one could be upgraded with a CarPlay compatible head unit from Alpine, Kenwood or Pioneer. These can be bought for around £300. For owners of more recent iPhones, Apple CarPlay provides much of the functionality you already enjoy in your car, so using it is second nature. That it keeps you on the right side of the law merely adds to its attraction. Need more help choosing your next car?